When I look in my backyard right now, I see grass in desperate need of mowing. 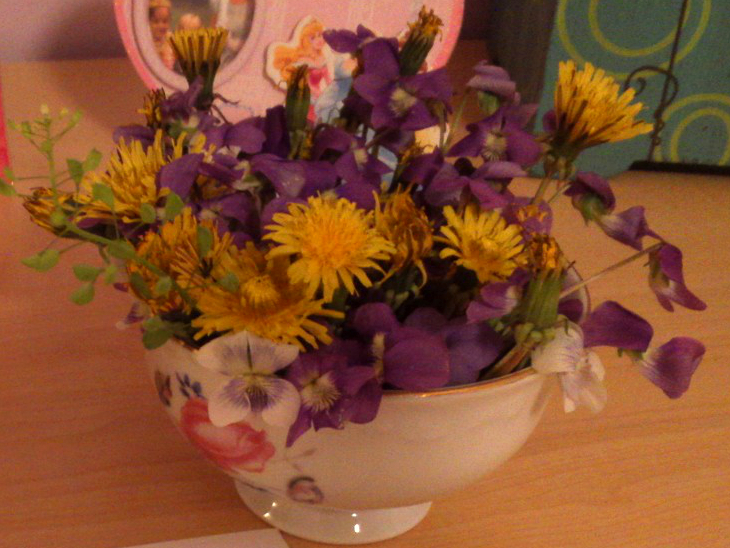 My children, however, see wildflowers waiting to be picked. Don’t we do that with ourselves, as well as our things? Too often, we focus in on the imperfections. The thing is, beauty is always there, around us, and within us – we just need to choose to see it. I want to encourage you to watch this video. It is so powerful. You may look into the mirror and see what you think are flaws, but so many others look at you and see the flowers. That was a very powerful video. I had seen it floating around the Internet but hadn’t taken time to watch it. Thank you so much for sharing it. Your pictures of the grass and wild flowers are really powerful illustrations also. Moved by both. Thank you so much for your kind words of encouragement! I am so glad you were impacted by the illustrations. This is a much needed thought that we should all try to grasp. Thanks for posting your thoughts and the video. If we spent half as much time building ourself and others up as we do tearing down, think of the world we could live in! The awful thing is that we struggle with this so much as Christian women who know that God doesn’t make junk! You are so right – we should definitely spend more time building up than tearing down! Thank you for sharing your thoughts and encouragement. Grace’s favorites are the yellow flowers as well! Bouquets from our children are among the best kind of bouquet to receive. Oh! I see you have some white violets, as I do! For my wedding I had white violets and sweetheart roses, so those are even more special to me now. 🙂 And did you know you can make candied violets, as they are edible? We have just a few white violets, and their rarity in our yard makes them feel even more special. What a beautiful combination for your wedding! 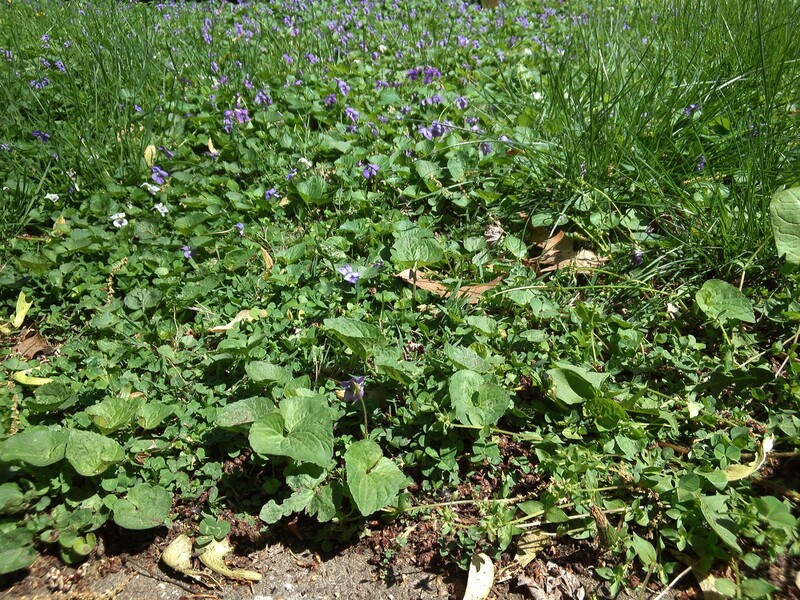 I did not know that about the candied violets – I will have to look up a recipe. Thank you for the tip and for sharing your memories! Sorry to write so much.. but this is such a compelling post I am having trouble keeping the thoughts from flowing out. Perhaps because I sketch faces, I see facets of their personality which etches their character there. It’s so true that others, especially those who love us, often see our good features and good qualities better than we do. We have a tendency to focus on whatever we don’t like whereas others see our face as a whole, and there is usually more harmony in it than the small faults we pick out. I have never seen a face without some beauty in it, and sometimes I can sketch them in such a way that they see what I see.. and that is her something wonderful, to me. My art teacher said she had never looked so good.. but her husband agreed that it was exactly what she looked like to him. That meant a lot to me. Love! I need to look at everything from a child’s perspective. I’ll be happier! Absolutely! Kids are so great at being optimists and accepting of others.